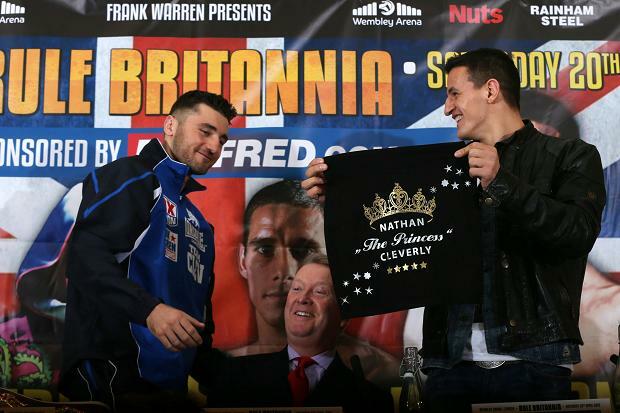 The WBO Light-heavyweight champion Nathan Cleverly is now unbeaten in 26 contests and at the crossroads of his career. He cannot achieve anymore boxing against Europeans or those from the Eastern block or the Commonwealth, he should now be dining on the top table! For this fabulous boxer to realise his potential he is now in need of a complete change of environment! It is painfully obvious the boxer’s progress has been hindered through no fault of his own and, despite the proverbial waffle, it looks unlikely that anything is going to change or happen fast in 2013. 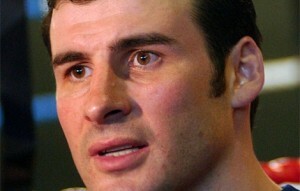 The status quo should not be allowed to drag on as per the situation Calzaghe. The Racing Horse has always believed that Frank Warren Promotions is not the right outfit to look after the best interests of Nathan Cleverly, and this is confirmed by the fact that there are no concrete plans in place to get the fights Cleverly so desperately needs! Warren used the words ‘friends and loyalty’ and went close to using the phrase ‘jam tomorrow’ at the press conference before the Krasniqi fight, but the Welsh fighter would prefer to have his career advanced, especially given his performances and hard work to date. Cleverly completed an educated and intelligent defence of the WBO title against a confident mandatory challenger in Robin Krasniqi at Wembley Arena on Saturday night. He won by a landslide unanimous points decision where judges marked 120-108, 119-109, 120-108. Class and experience told and apart from some reward in rounds six and seven Krasniqi found Cleverly (with a good chin) too skillful, too fast and far too knowledgeable. The worry and shame is that Cleverly might be forced into a secondary successive mandatory defence and the banana skin that accompanies it, by the WBO against the former WBO champion Juergen Braehmer, and Cleverly does not need that at this stage of his career! How many more adopted Germans must waste his time, thwarting his development? These sorts of fights should no longer have a place on the champion’s calendar - better to leave those to Tony Bellew. If the champion ever has to fight Braehmer under Warren’s stewardship it would prove that he failed his champion again! Most irritatingly and without credence, the promoter said it was ‘a bit of a pain fighting mandatory challengers.’ Whose fault is that? Who is preparing, booking, organising the fights? Any pain received is courtesy of the promoter! Eight years and some disquiet before Joe Calzaghe got his unification fight! Cleverly told us: "Although I'm due to face Braehmer I don't think he really wants to fight me, he has pulled out three times already. I'm still learning but I'm winning and winning quite well now, so I want fights that test me and that's the elite fights now – Hopkins and those guys. Maybe the WBA light-heavyweight champion Beibut Shumenov will be a good option and the winner gets Hopkins." When it was put to Cleverly that Hopkins would never leave America, he replied: "If he doesn't want to come out of America I will go there and take that belt off him." The intelligent boxing consensus says that an elite-level opponent will bring out the best of the Welshman’s talents, he has now made five defences of his title and has served his apprenticeship. He now craves the big names and deserves them. Contracts should have been signed at the beginning of this year taking those irrelevant mandatory fights out of the boxing landscape! The last time The Racing Horse ventured an honest opinion regarding the management style and actions of Frank Warren he issued legal proceedings against us and threatened to close our site down. He has not withdrawn that threat and it remains live. We had talked previously about his ‘cold fish indifference’ to his boxers and this annoyed him but it was what we thought, based on what we had witnessed, seen and heard him say. We have cleared this piece with our lawyers and make it clear that these are our personal thoughts and do NOT represent the view of Team Cleverly. Frank Warren has used his column in The Sun Newspaper saying that everyone is entitled to their opinion - the above is ours!